The Maverick Institute in Portland, Oregon is a Lean training and learning institute that provides education and certifications for Fortune 100’s and start-ups around the country. They focus primarily on helping organizations eliminate waste and accelerate learning through Lean Knowledge Transfer. Last month we were hired by the Maverick Institute to help redesign their existing website. Their current website accomplished what they needed for the past few years, but they now wanted a refresh to better reflect their lean strategy and also improve their sales funnel online. With those goals in mind, we went to work to completely redesign and rethink their entire website. 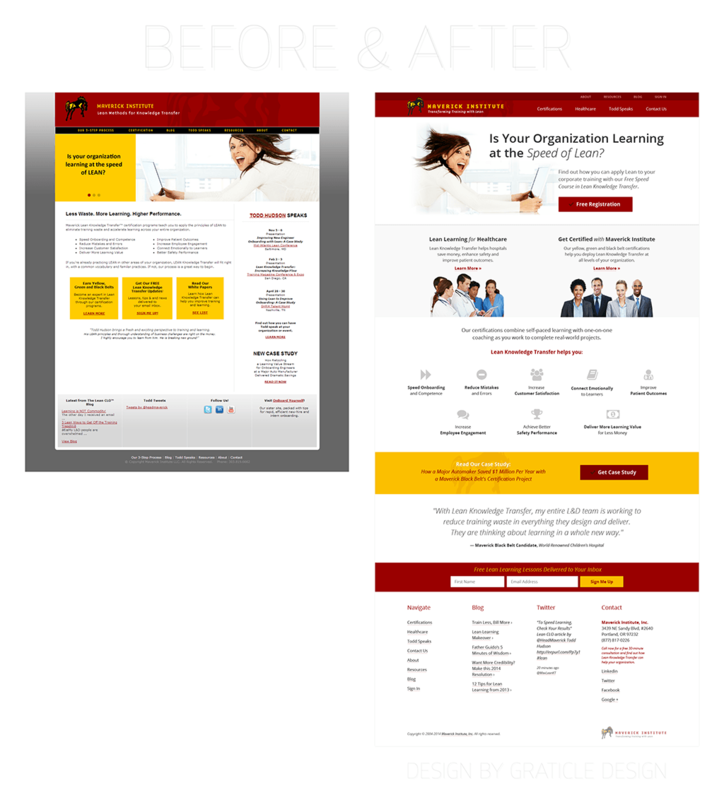 What you see below (on the right hand side) is the after design of their homepage. The new website is currently in development and is planned to be released in the next month. “We recently hired Graticle to design our new website, which is optimized for content marketing. 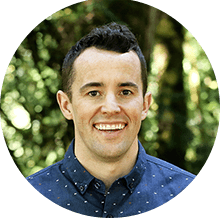 Shawn not only is a terrific digital design talent, he also has a wealth of knowledge about how to visually and verbally guide site visitors through a sales funnel. He carefully planned every design element to deliver a powerful call to action, and helped us edit our content to avoid leading users in the wrong direction. Shawn also is one of the most efficient, pleasant and professional designers we’ve ever worked with. He delivered everything in an orderly way, communicated frequently throughout the process, and rapidly adopted our project management system. He delivered great work on time and on budget. Graticle is truly one of the best web companies we’ve ever worked with. Highly recommended.